GB Photography » Crossy Spider Returns! 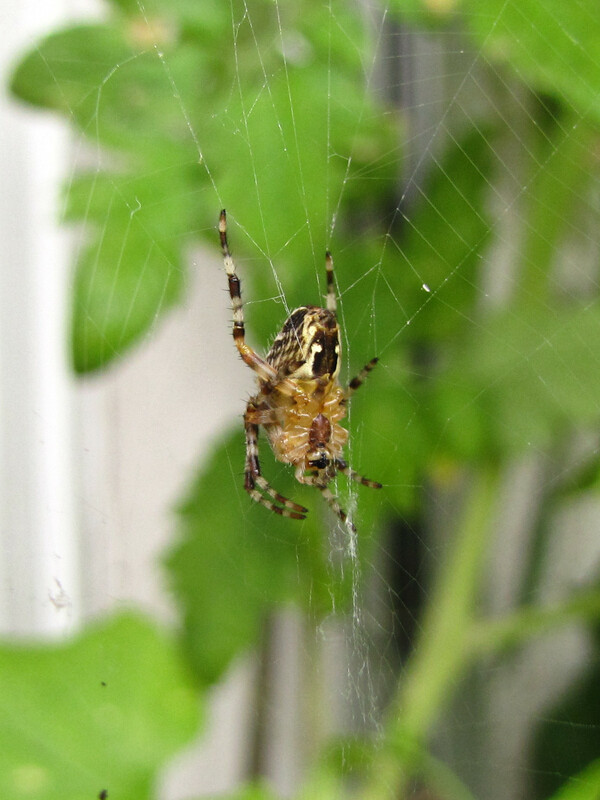 For a couple of days last week, I had a Garden Cross Spider take up residence in one of the tomato bushes. It had to rebuild its web lots of times, but it was there for quite a long time!